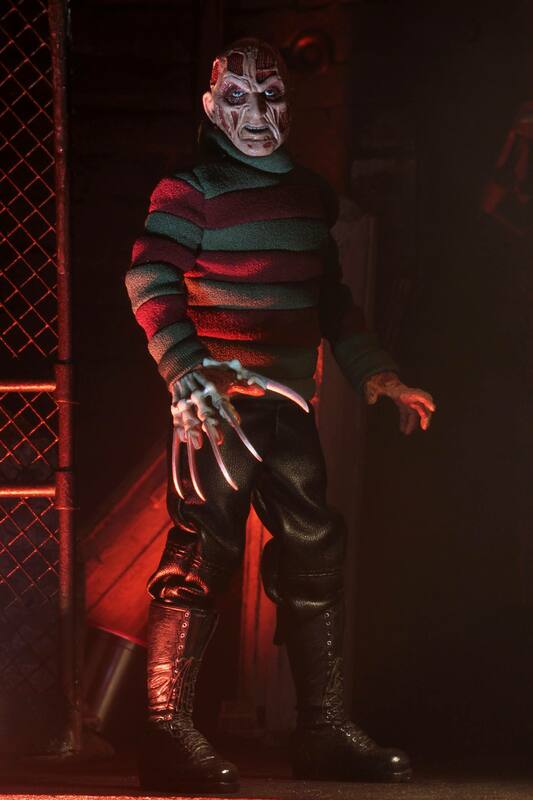 New Nightmare Freddy Joins The Retro line! This past Monday, NECA revealed their latest retro-style figure which is A New Nightmare Freddy Krueger. 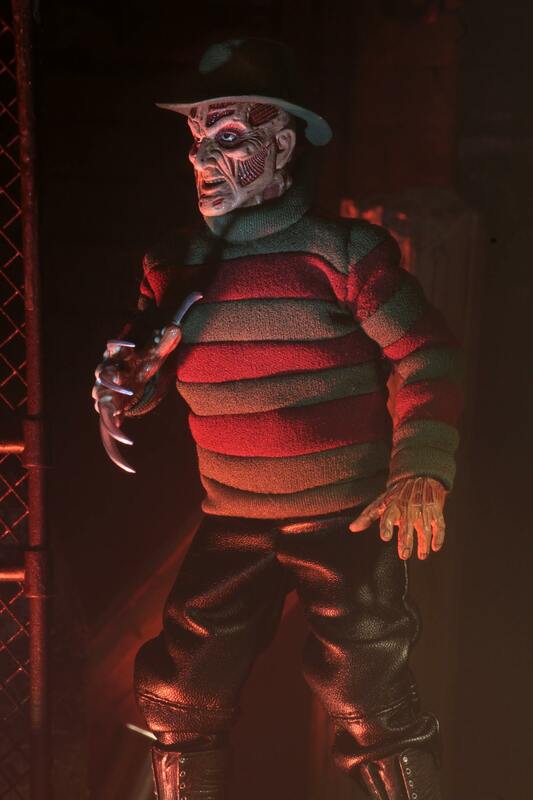 I missed out on the updated New Nightmare Freddy that NECA released with the updated leg articulation. 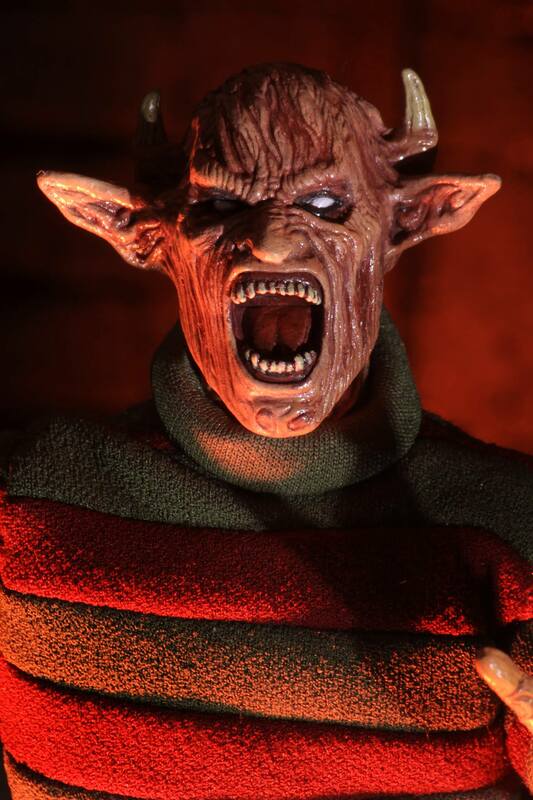 Though I do have the Cult Classics release that came out about 13/14 years ago. 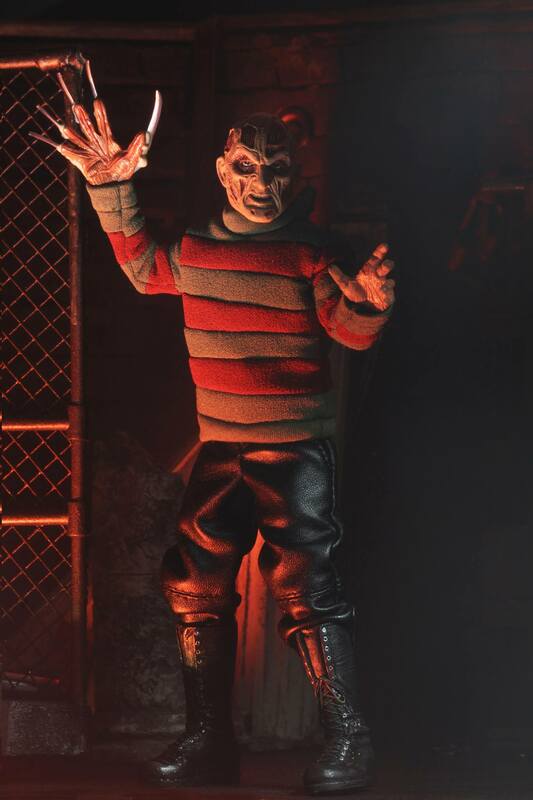 I really love that figure and the design of the New Nightmare Freddy. 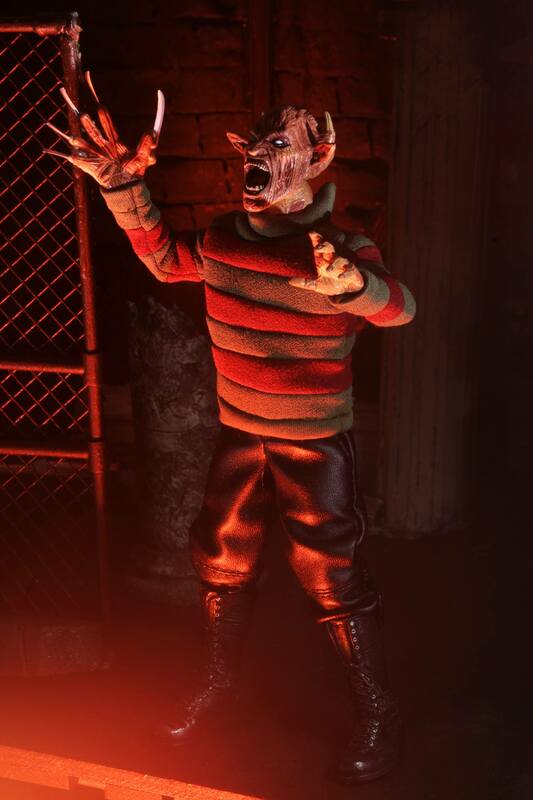 So I’m very happy that NECA has given the New Nightmare Freddy the retro treatment and it looks fantastic! 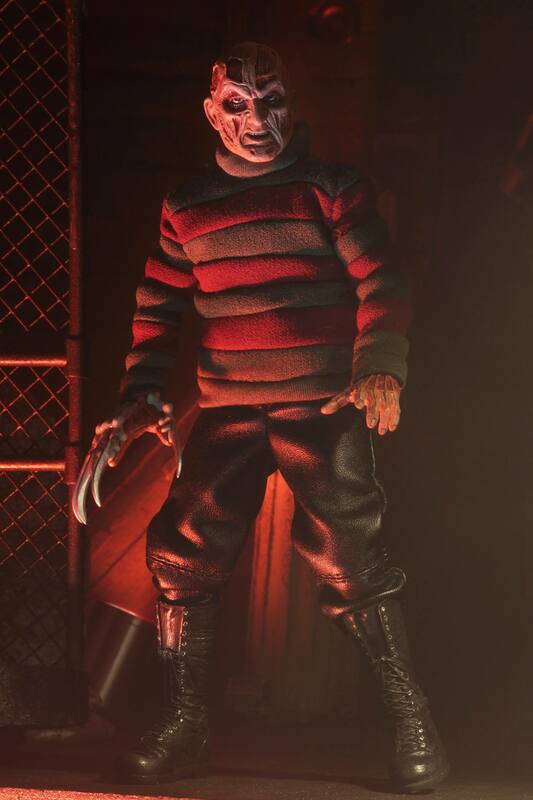 I love the look of the costume from the combat boots, combat pants and the design of the new jumper. 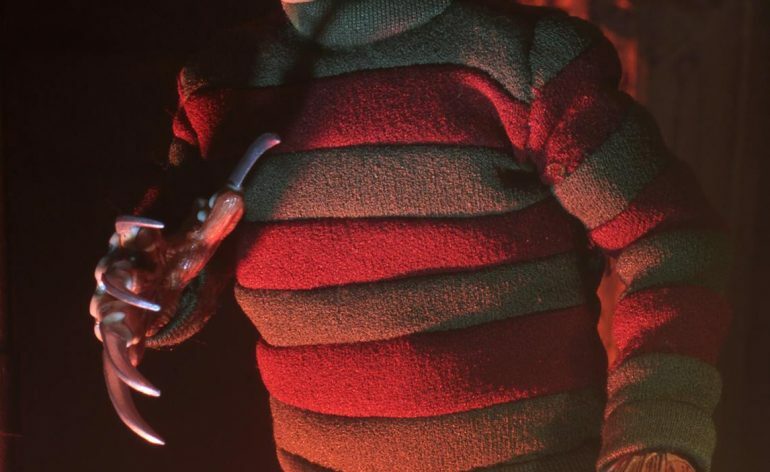 I really love the look of the glove as well and it looks great in the retro style as it’s a bit larger than the 7″ version. He also comes with an interchangeable head which is the same head that the Cult Classics and updated version came with. 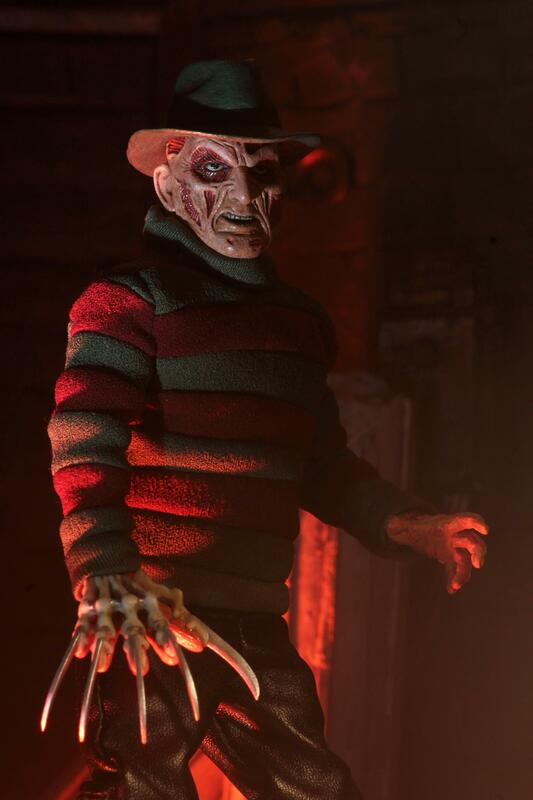 He also comes with a green fedora and a trench coat. 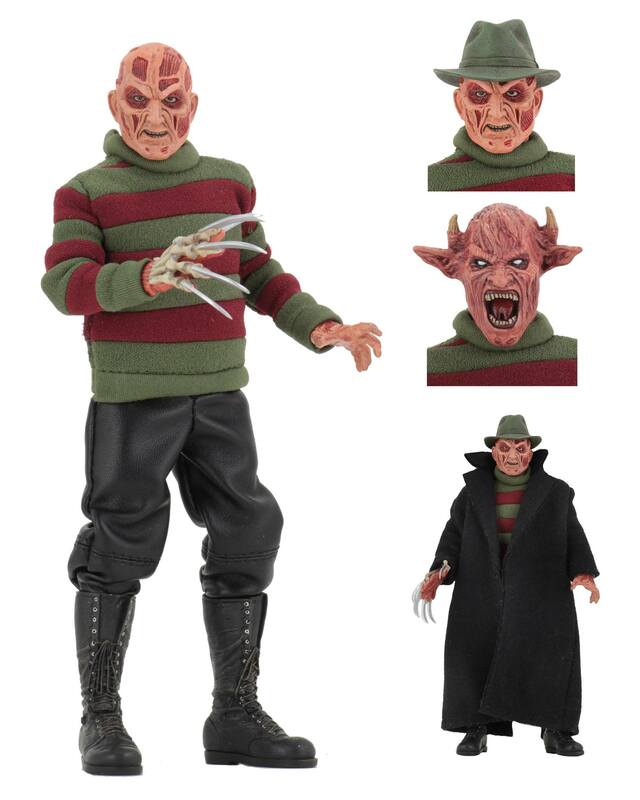 The details on the sculpted heads and hands look incredibly well detailed and the clothes don’t look too baggy on Freddy either. This figure is an absolute must-have if your a fan of A New Nightmare Freddy or a fan of the series. 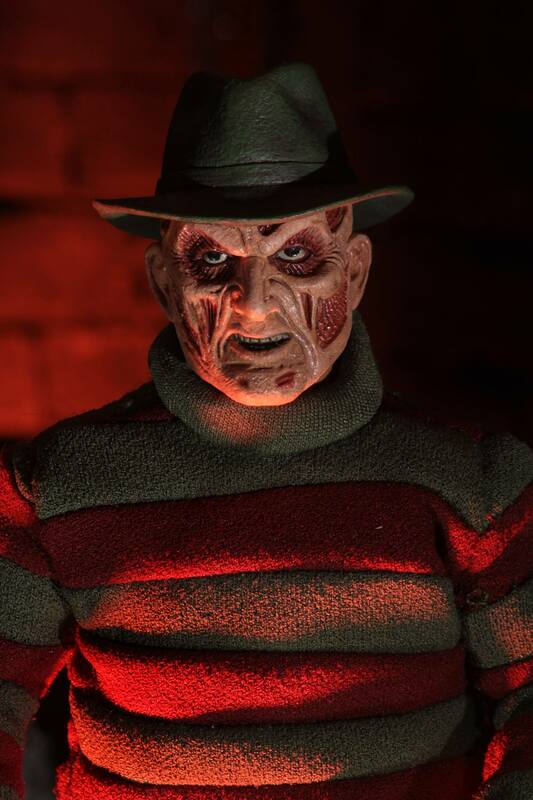 This figure will be released in the third quarter of this year.